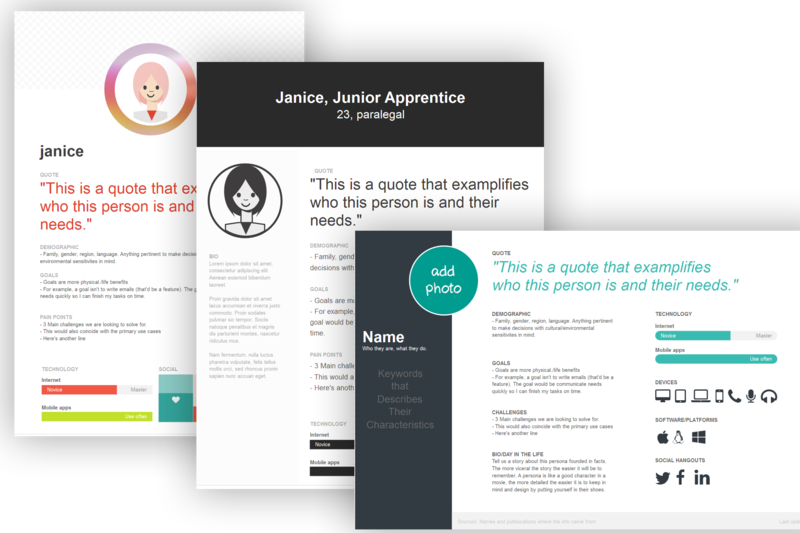 Axure Loot | Discover Templates great for starting a UX project. NEW VERSION Part of the Discover phase, this kit includes everything you need to get a UX project started right. Now with more persona template styles to choose from. Persona mini cards are a great way to remind yourself and the team who you are building for. This kit is created to help get your ideas down on paper (digital as it may be) as quickly as possible so you can spend time exploring possibilities.